Shrek is a sheep who was happily living in a South Island New Zealand cave for six years. As a result he routinely missed getting shorn every Spring. 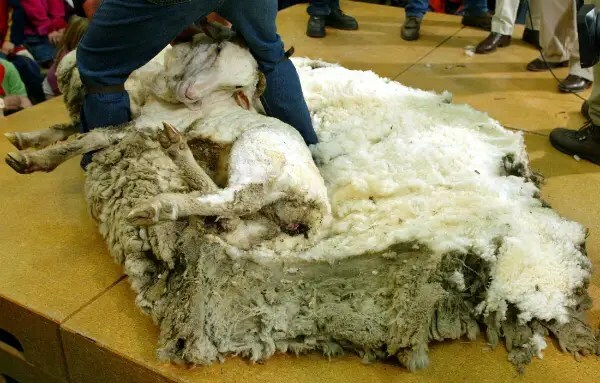 The story has resurfaced because Modern Farmer was curious: can a sheep’s wool grow forever? Its writer, Jesse Hirsch, interviewed Dave Thomas, the University of Wisconsin-Madison‘s head of sheep studies. Thomas says a Merino sheep like Shrek will grow wool indefinitely. The article was picked up by Digg. Unfortunately Shrek died in 2011. But we can remember him in photos. So, what does a sheep that hasn’t been shorn in six years look like? And here’s Shrek before. No feet! 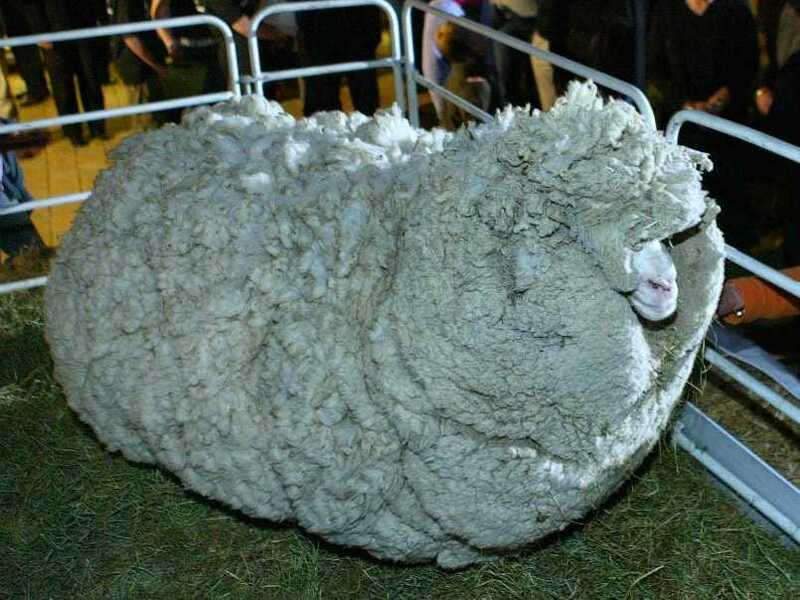 Modern FarmerShrek the sheep, before being shorn. ← LAS VEGAS GREETING THE ROYAL BABY VEGAS STYLE: ‘CONGRATULATIONS ON THE ROYAL ADDITION: SEE YOU IN 21 YEARS’….MAYBE WITH UNCLE HARRY AS PARTY GUIDE? I’LL BET SHREK FELT SHEEPISH. (ORT-ORT) THE AHHH! (NOT BAH!) HEARD ‘ROUND THE WORLD!!! !